A lot of rooms in our house are still in the transition phase. This includes my future home office space which is directly connected to our bedroom and used to be Axel’s nursery. I’m contemplating where to put the desk because I also want to add a separate sitting area (with small settee and coffee table). 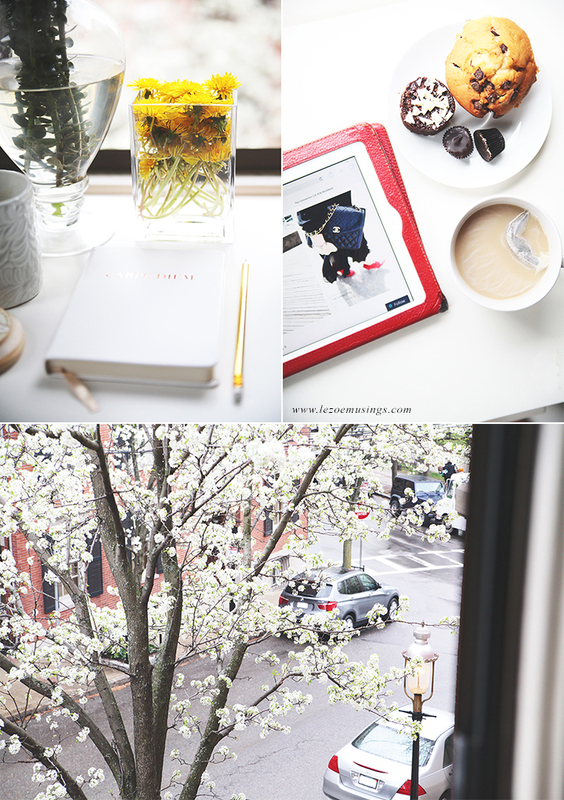 Now that the pear blossoms are in full bloom, the view outside the window is so spectacular that it’s making me rethink where I’m going to place some things. 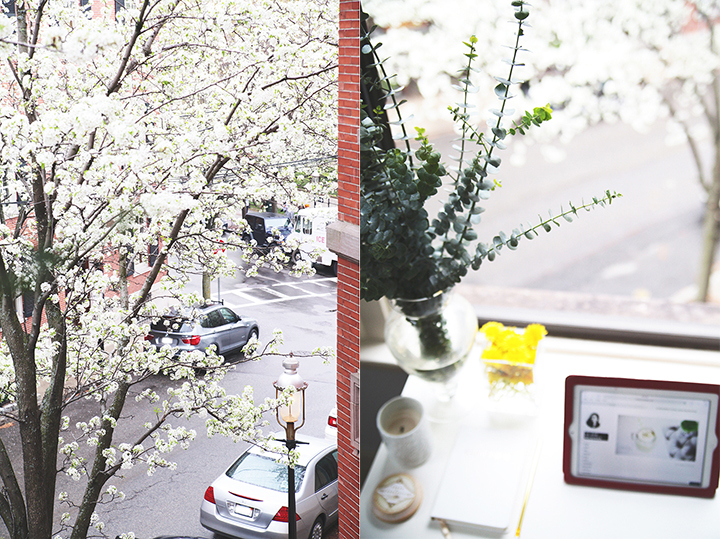 The view: pear blossoms & brownstones. Paris outside my window! These pear blossoms are so breathtakingly beautiful. Our streets are fully lined with them right now. In weather news, today started off a tad bit gloomy and damp but it’s really bright and sunny now. Loving the neighbor’s cast iron balcony railings. What do you think about my future home office space? 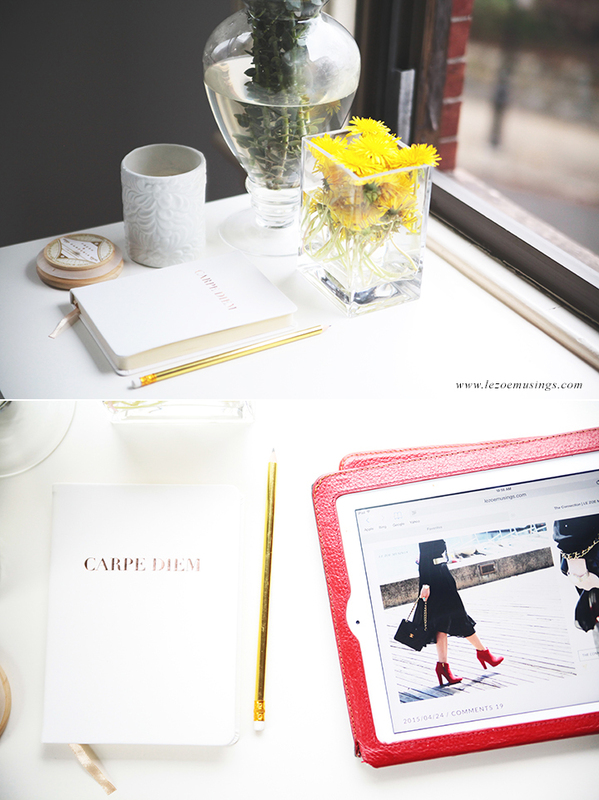 Do you have an office space of your dreams? Please share! I like your office space its pretty cool and you have make a good environment for work. Very beautiful! I work from home and I might be inclined to add a drop-leaf tabletop extension to the side of the dresser so that I can flip it up for when someone needs to sit and type. Although, I wouldn’t get much work done with that view. I would love to know where you got that changing table and chair! Love the look, super practical for small spaces and storage! lovely! is that a pear tree outside your window? must smell so springy! Really I like so much tour space!! Nice pictures. So lovely with all the flowers everywhere! You are very lucky. I love the dandelion vase! 🙂 Always thought they were pretty flowers.